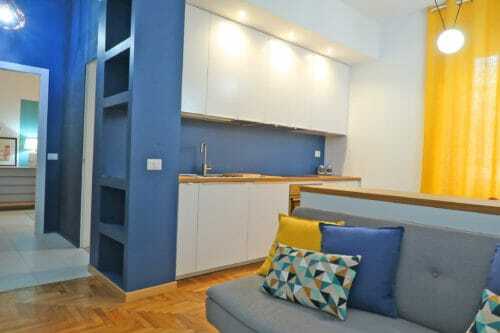 Just totally refurbished, modern and quiet apartment with 1 bedroom. Bright and comfortable. It’s on the ground floor, facing the inner courtyard with tennis courts. Only residents can play tennis and only during the summer there are a few players. New window fixtures and new security window grilles. Living room with a sofa double bed and a fully equipped modern kitchen with dish washer. Bedroom with a double bed and a wardrobe. Bathroom with shower and window. Doorman service in the building. Tennis courts and swimming pool in the condominium.